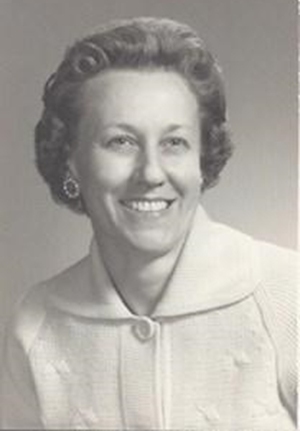 Obituary – Phillips, Marceil Edith (Sherrard) « Perry High School Alumni Association, Inc.
﻿﻿- daughter of Mr. and Mrs. D. T. Sherrard of Perry, was born in Perry on Aug. 1, 1918 and attended the elementary grades in Perry and high school in Perry. During her high school career she was in the Office Training Club. Following graduation she expects to take a business course in college. Marceil Edith Phillips, daughter of Ted and Angeline (Allen) Sherrard, was born in Perry, Oklahoma, on August 1, 1918. She graduated from High School there, and also from Hills Business College in Oklahoma City. Marceil moved to Galveston, Texas in 1939 and was united in marriage to Eldon C. Phillips on December 28, 1940. To this union was born one son: James Eldon Phillips. Marceil worked in the insurance business in Galveston, then in San Francisco during WWII, and later in Wichita Falls after the Family had moved there in 1948. 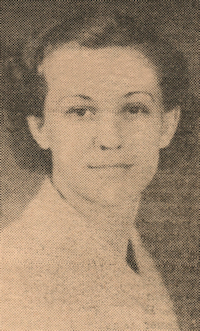 In 1950, Marceil became a member of the Southside Baptist Church in Wichita Falls, remaining a member there until her death. She was very active in the church, serving as a teacher in the Sunday School and Vacation Bible School programs for many years, and later served as church secretary in the 1970’s. Marceil spent the last 9 years of her life being homebound in the comfort of her son’s home in Wichita Falls, and passed away on December 20, 2014, at the age of 96. Funeral services will be held at 1 p.m. Friday, December 26, 2014, in the chapel of Hampton Vaughan Funeral Home, with one of Marceil’s former Pastors Charles Nichols officiating. Burial will be in Crestview Memorial Park beside he husband, Eldon, who preceded her in death in 2009. Marceil is survived by her only son, James Eldon, a sister Maxine Watkins, a long-time resident of Oklahoma City, and eight nieces and nephews who are scattered over serveral states.